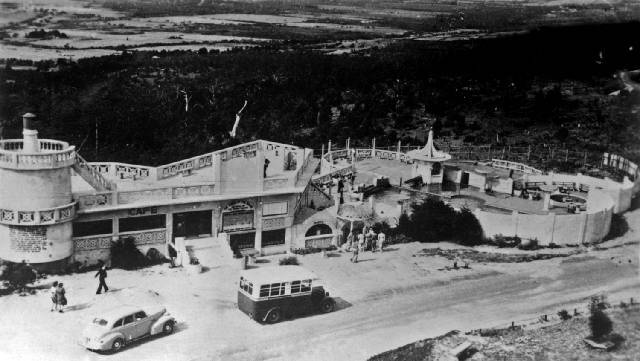 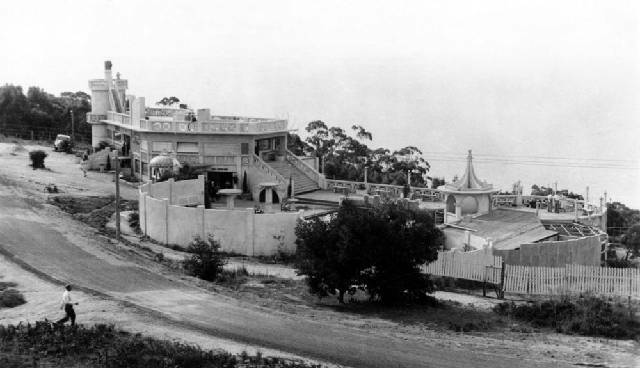 Garden of the Moon was a large amusement park, consisting of a café, a swimming pool, camera obscura, ballroom, telescope, fish pond, fountain, wishing well, etc., and was situated at the summit of Arthurs Seat, which is 1,013 feet above sea level. 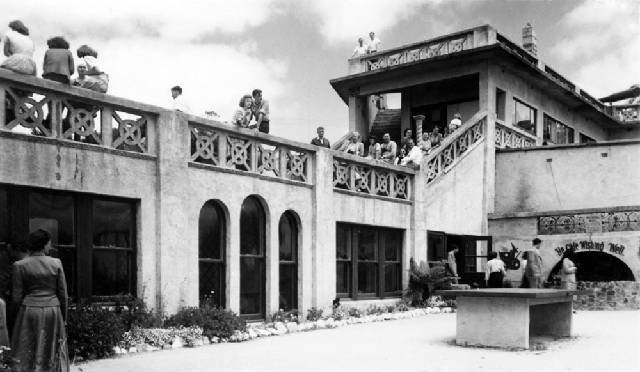 This intriguing building was probably built in the 1930s and is now Arthurs Restaurant. 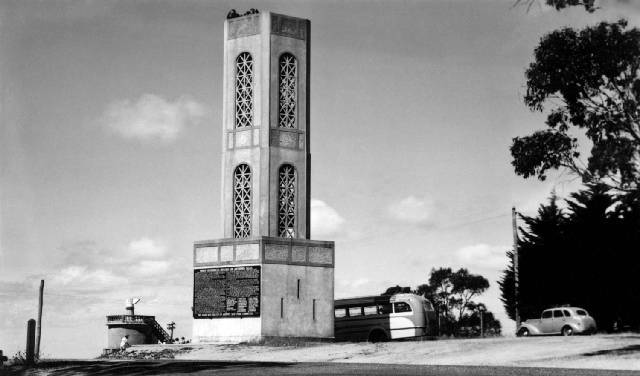 A lookout tower was built next to this structure in 1934.